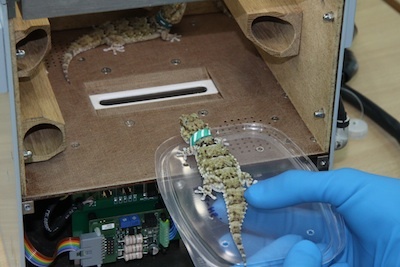 Russia launched a space capsule into orbit Friday packed with mice, geckos, gerbils, snails and fish to observe how the animals fare in a one-month, roundtrip voyage into the final frontier. The animals will spend the 30-day mission inside enclosures and cages, and scientists devised feeding procedures to ensure the critters survive the journey. 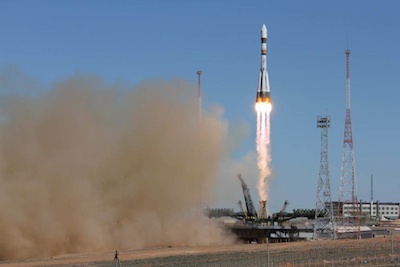 The Bion M1 spacecraft lifted off on a Soyuz rocket at 1000 GMT (6 a.m. EDT) from the Baikonur Cosmodrome in Kazakhstan, less than 20 hours after the booster rolled to the launch pad on rails. Soyuz rockets typically arrive at the launch pad three days before liftoff, but Russian engineers waited as long as possible to finish loading experiments, animals and supplies into the pressurized capsule. The Bion M1 capsule was injected into orbit about nine minutes after liftoff. The 15,000-pound spacecraft was launched by a modernized Soyuz 2-1a rocket, which features a digital flight control system to guide itself into space. Russia installed animal habitats into the Bion M1 capsule with 45 mice, 15 geckos, eight gerbils and a number of snails, plus other investigations involving microorganisms and plants. The craft also carries an aquarium with German experiments on fish and aquatic plants. The mission's 45 mice passengers, living three animals per cage, will be fed with a paste-like, vitamin-enriched diet of cereals and water six times per day, according to the Institute of Biomedical Problems, a top Russian research organization based in Moscow. Researchers will monitor the status of the animals with video and medical telemetry as they fly 575 kilometers, or 357 miles, above Earth. The pressurized compartment of the Bion M1 spacecraft will be kept at a comfortable temperature and relative humidity for the month-long flight. The mission is also designed with day and night cycles to maintain the animals' circadian rhythm. 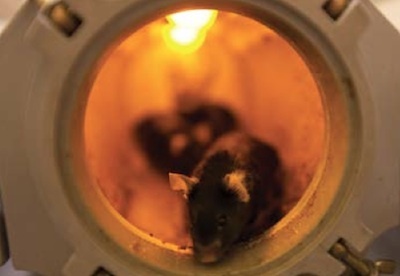 Scientists will use the mice to study how the animals respond to weightlessness, investigate how cells in tissues and organs change after a long-duration spaceflight, observe their susceptibility to cosmic radiation, and learn how the animals readapt to gravity after landing, according to the website of the Institute of Biomedical Problems. The mission includes eight Mongolian gerbils, which are more resistant to harsh environmental conditions. Scientists want to observe how the gerbils react to microgravity and compare the findings with the response of mice. The animals were chosen based on both their physical and social characteristics. "They go through selection stages no less stringent than the astronauts," said Pavel Soldatov, a leading researcher at the Institute of Biomedical Problems. "They live in nature as families and groups. They cannot exist in isolation." The Bion M1 mission is managed by Roscosmos, the Russian Federal Space Agency, but scientists from the United States, Germany, Canada, Poland, the Netherlands and other countries are participating in the experiments. NASA selected nine U.S. scientists to collaborate with Russian researchers in cooperative experiments. "We are participating in a biospecimen sharing program and utilizing hardware developed by our Russian partners that has flown successfully for many missions over the last 30 years," said Nicole Rayl, manager of the space biology division at NASA's Ames Research Center. "This way we can leverage off existing capabilities while still meeting NASA's scientific goals." The NASA-sponsored research is focused on Bion M1's rodents, Rayl wrote in an email to Spaceflight Now. "They will study the effects of space travel on multiple tissues, such as blood vessels, spine, knee and elbow joints and the gravity-sensing structures of the inner ear," Rayl said. 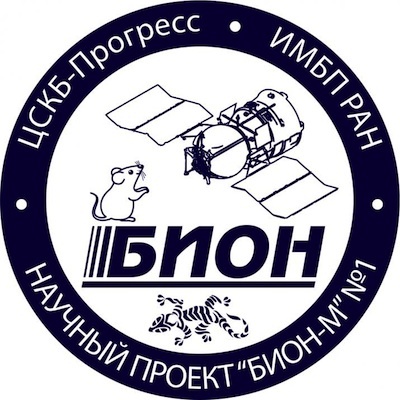 Bion M1 is Russia's first Bion mission since 1997, and it is the longest flight in the history of Russia's animal-in-space research program. Scientists are hopeful the 30-day flight duration will yield more useful data on how organisms respond to spaceflight. The Bion M1 spacecraft is an upgraded version of the Bion modified with solar panels and a new engine to support longer missions. The first Bion mission launched in 1973 with rats, reptiles, insects, plants and other biological specimens. Russia flew 11 Bion missions through 1997. The Bion M1 spacecraft carried six piggyback satellites into orbit. The capsule will deploy the secondary payloads over the first two days of the mission. At the end of the month-long flight, the Bion M1 capsule will re-enter Earth's atmosphere and parachute back to Earth, where a recovery team will meet the landing module and retrieve the animals. Landing is set for May 18, Rayl said. The animals will be euthanized for scientists to finish conducting their research, which could provide insights helpful for future human expeditions to Mars and other deep space destinations, according to Roscosmos.